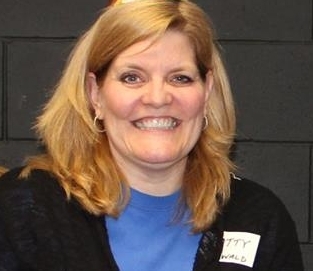 As we look forward to the fall and the start of children's faith formation at St. James, we are pleased to welcome Patty Seewald to the St. James staff as a part-time coordinator of Sunday School ministry. Patty brings years of experience working with kids and parents at St. James. Not only that, but Patty brings an exuberance, joy, and lots of energy. Supporting Patty's efforts is a team of dedicated parents - together, they will provide an incredible learning experience for our children. Sunday School will begin on Sunday, September 9. Our "Rally Day" is always a fun and full day. Stay tuned for details. At this point, be sure to mark your calendars. You will not want to miss the special worship, Sunday School, Adult Faith Conversation, and luncheon potluck. Please join me in thanking and welcoming Patty the next time you see her in worship or at church.